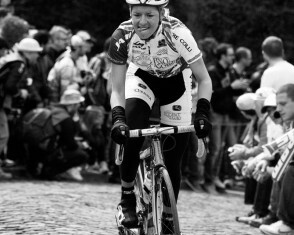 The Muur van Geraardsbergen, The Kapelmuur, The Muur. 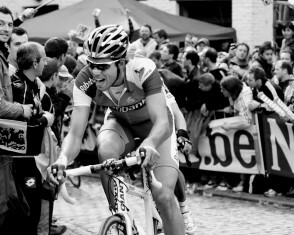 The best-known climb in all of Flanders. 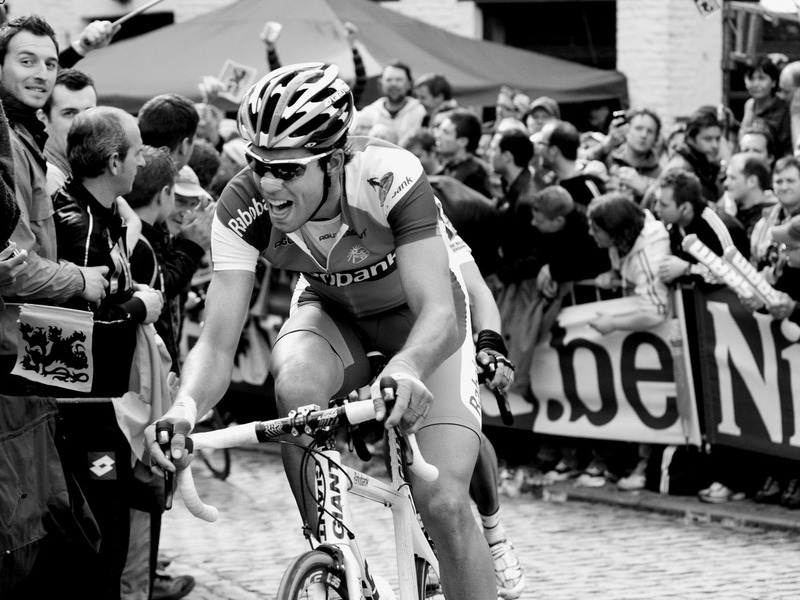 The one kilometer ascent begins as a wide street in the city of Geraardsbergen and whittles its way up to a roughly cobbled path averaging seven percent and pitching close to twenty percent at its steepest point. 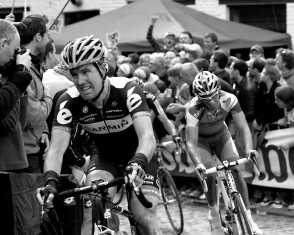 The Muur is not long enough to warrant steady-paced climbing with team strategy and planned attacks. 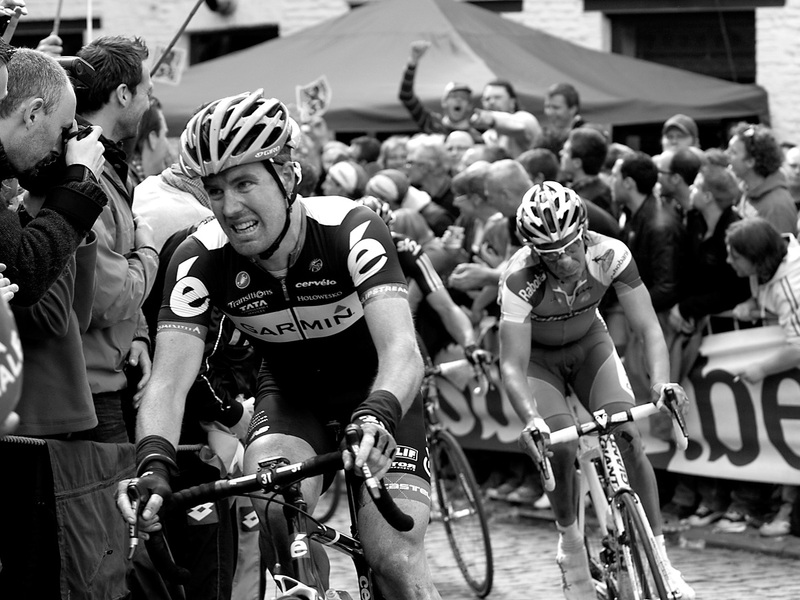 It is about power, pain, and the possibility that the first to reach its Chapel-crested peak will be the first to finish the Ronde van Vlaanderen. 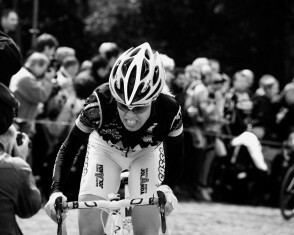 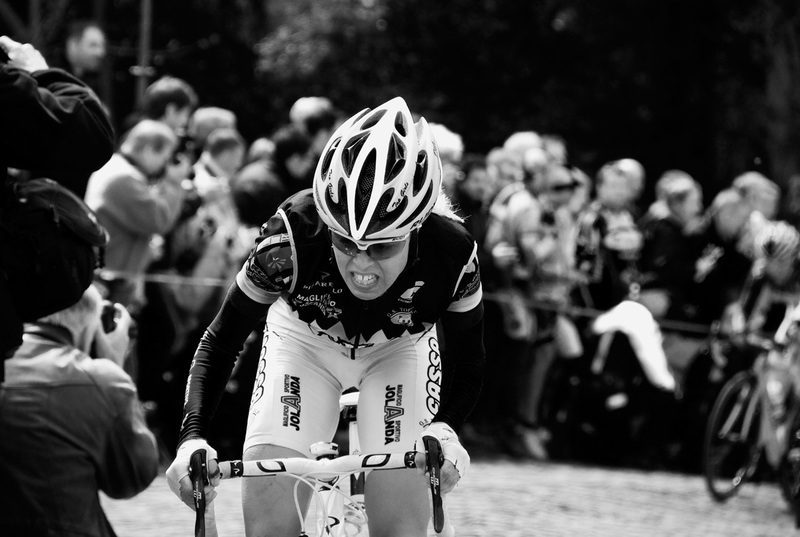 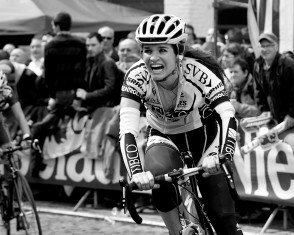 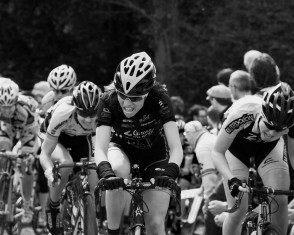 The Muur knows no classification, no gender, no age; only the sacrifice its riders must give for the taste of victory. 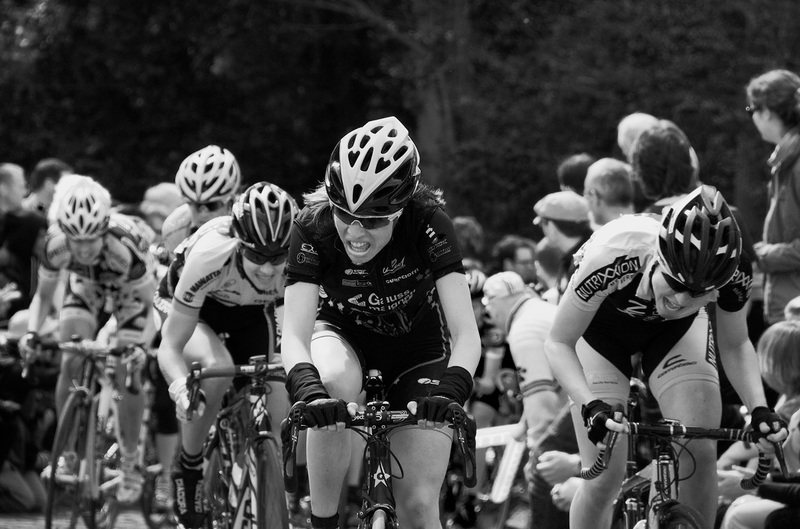 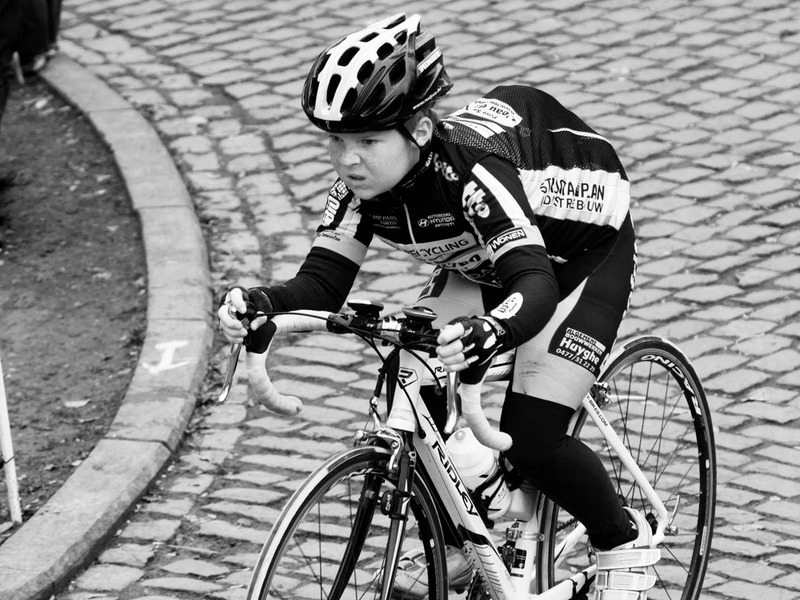 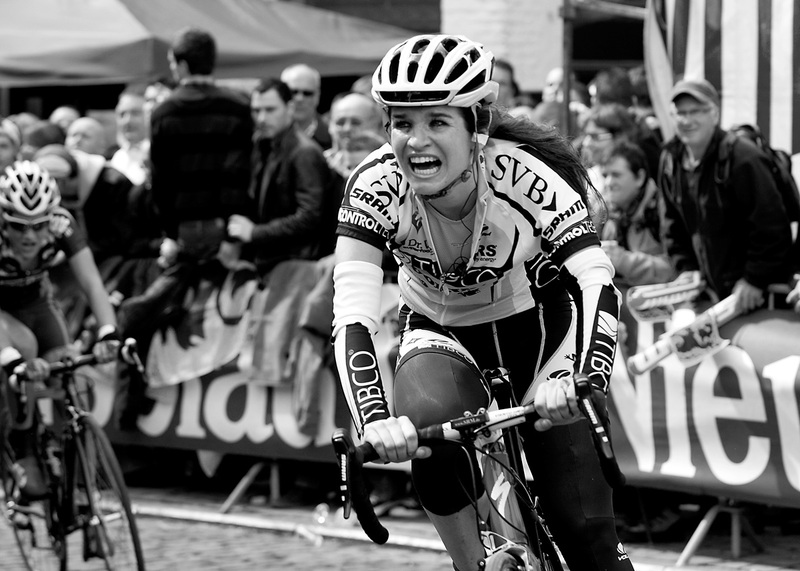 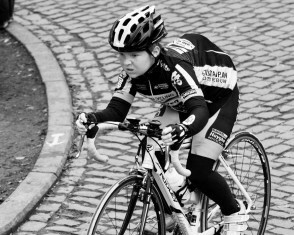 Tags: Belgium, Kids Tour of Flanders, Pain, Ronde, The Muur, Womens Tour of Flanders.